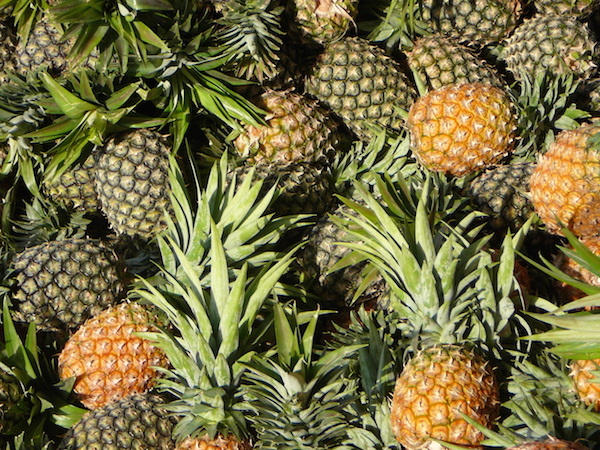 Three men were handed death sentence for stealing 30 pineapples from a farm. Julius Mugambi, Edward Mburu and Francis Maina lost their case after the Court of Appeal in Kenya found they were positively identified as part of a gang of seven intruders. They are now on death row even though they never got away with the fruits worth Sh1,500. They were forced to abandon the loot when they were chased by a guard dog at a Thika-based Delmonte farm. Evidence by the dog handler was crucial in securing the conviction, judges said. No one was hurt in the robbery except a dog, which bore a deep cut from a machete. The three were charged with threatening security guards using machetes before stealing the pineapples. They were also charged with unlawfully injuring an animal. They were first arraigned in the magistrate’s court in Thika on November 1, 2008, where they were tried and sentenced to death. They filed an appeal at the High Court, arguing there was a mistake in the identification of intruders at the farm on the day. In opposition, the State submitted that the dog was able to sniff or sense that they were the intruders on the farm that day as the animal was trained. The court heard there were no other farms and no members of the public nearby, meaning there was no need for an identification parade as there was no doubt over the identity and involvement of the persons involved in the offence. David Kamau, a dog handler, testified that he released the trained animal when the intruders defied his orders to stop. The dog led him to where they were hiding in the bushes, within the farm, and brought the three out, one by one. He also confirmed that each had a dog bite. Mr Kamau testified that Mr Mugambi had a sword while Mr Mburu carried a machete. Kamau said he noticed the dog had a deep cut. He flashed a light on the sword and saw blood on it. The dog handler’s testimony debunked the theory that the wrong persons were arrested on the farm. Kamau told the court what happened from the time of attack to harvesting, flight, picking up of the scent by the guard dog and the men’s eventual arrest. Court of Appeal judges Roselyne Nambuye, Patrick Kiage and Kathurima M’inoti said the case was moved by “evidence of the dog”. They said ability of a tracker dog to sniff out an intruder and its training on arrest could be used in court. They ruled that although the evidence given on behalf of the animal by its handler should be taken with a pinch of salt, it could be admitted as opinion evidence. “The evidence of tracker dogs may be admissible in certain circumstances. A dog handler is competent to testify as to the tracking ability and reliability of the dog,” the judges ruled.